It could be at Shinnecock, one of his favorite courses. Or it might come at Carnoustie or Bellerive. Maybe it will be right here next year. At some point, though, Fowler WILL be a major champion. “I am ready to go win a major, but this was kind of the first major week that I understood that and knew that and felt that,” he said Sunday night, after finishing a stroke behind Patrick Reed at the Masters. “I would say previously, I was still feeling the nerves and dealing with tough rounds and things not going your way. “The big round for me was yesterday. I didn’t feel my best. I felt like I had to really stick to my game plan and fight through a few times where I may not have felt comfortable and just try to gut it out,” he continued. “Obviously with a 65, I was very pleased with that. There has never been a question of Fowler’s talent. He has four PGA Tour victories, including the so-called “fifth major,” The Players Championship, in 2015. Now 29, he’s been considered one of the Next Big Things in Golf for so long he’s on his second go around of up-and-comers. But while first Rory McIlroy and Jason Day and now Jordan Spieth, Justin Thomas and Reed have made their marks in the majors, Fowler is still waiting on his breakthrough. For too long, the knock was that he wasn’t tough enough mentally to get it done. That he’d get to the final round and either fall apart or fade into the background. He’s one of only four players to go top-five in all four majors in the same year — and the only one to not win a one of them. He has eight top-10 finishes in the majors since 2013, the most by anyone who hasn’t won a championship. Fowler’s demeanor did little to challenge that notion. He is the ultimate nice guy, and is genuine in his happiness for the people who beat him out. On Sunday, he greeted Reed with a bearhug when the new Masters champion arrived to sign his scorecard. Think Tiger Woods would ever have done that back in the day? But Fowler doesn’t see a point in being a jerk. He has control over only one person, himself, so it’s pointless to sulk or pout over what somebody else did. Besides, Fowler’s finish should be a warning that anyone who doubts him, his desire or his relentlessness does so at their own peril. He birdied six of his last 11 holes Sunday for a 5-under 67. Playing in the group ahead of Reed, he stiffed his approach shot on 18 to 7 feet and knocked it in for a birdie to turn up the heat just a tad. 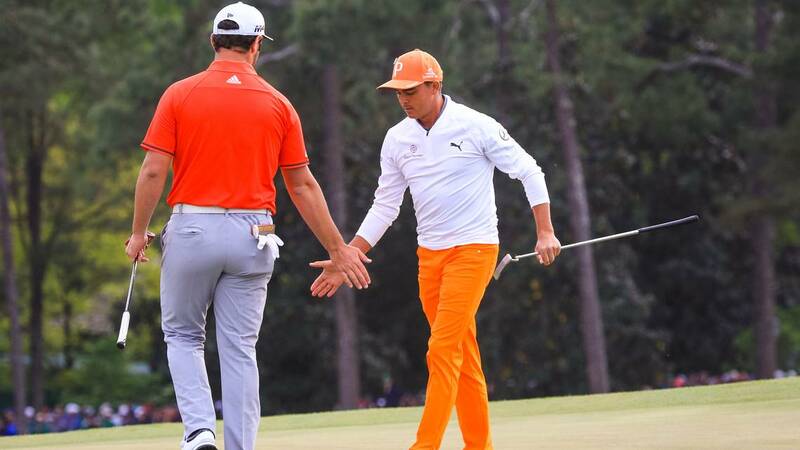 The birdie also gave Fowler sole possession of second place, knocking Spieth to third. Over his last 38 holes, he had just one bogey. Any other year, any other major, his 65-67 in the final two rounds would have been enough to win. “Obviously I want to be the one standing on top after the four rounds,” Fowler said. “But this is — if anything, it’s a step forward and makes me feel better about going forward into our next major, the U.S. Open. The question isn’t whether Rickie Fowler will ever win a major. The question is when. Next articleHave the Commonwealth Games Become the Forgotten Games?